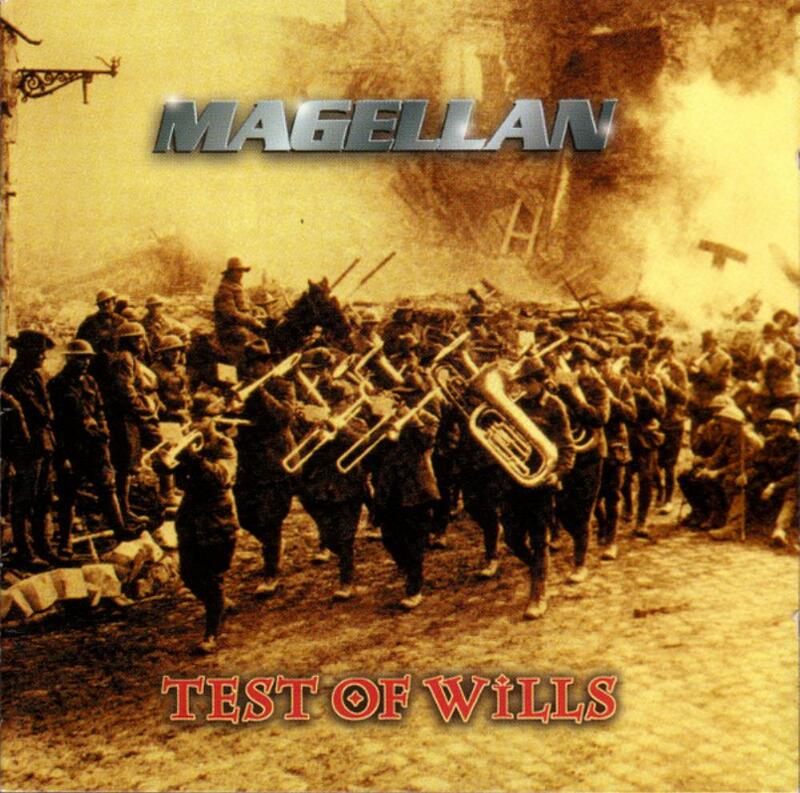 Test of Wills was the follow-up to Magellan's Impending Ascension album. A complete shift in both musical style and sound took place on this album. The two most noticeable changes are a large incorporation of prog metal into the overall sound and the replacement of programmed drums with a human drummer. The latter was a great idea, althought Magellan could hold their own with programmed drums, something very few artists can pull off and turn them into something good. The addition of prog metal was a surprise and it has it's good and bad sides to it. The good is that the on some songs it gives it a good energy kick. The bad is that sometimes this style doesn't fit the quirkiness of Magellan's music. Another downside is that Trent Gardner's keyboards took a back seat, something I think is sorely missing from this album. Magellan also seems to have picked up some Jethro Tull influences, in particular on the song Jacko. It's so convincing that it almost sounds like a rip-off, though I'm sure they did this as a tribute. By this time, all of their previous influences seem to have been shed and now Magellan has it's own sound. Although I found this album an interesting experience, at times it seemed difficult because of the sudden shift in their sound. Also worth noting is that this incorporation of prog metal back in 1997 pre- dates many of the other neo prog bands that would do this in the early 2000s. I like a lot of the material on this album, but it has a healthy dose of filler and that's the main reason I cannot rate it nearly as good as their previous effort. Consider it worth 3.5 stars, rounded up to four.